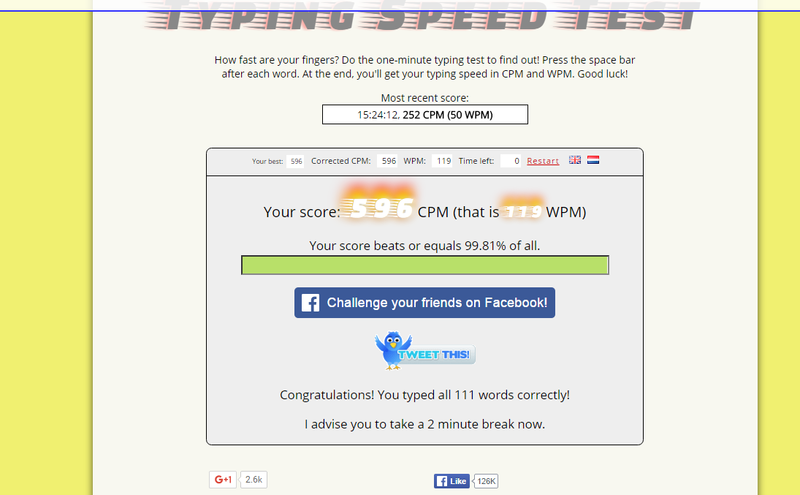 Not bad for the first try, maybe I can do better.. 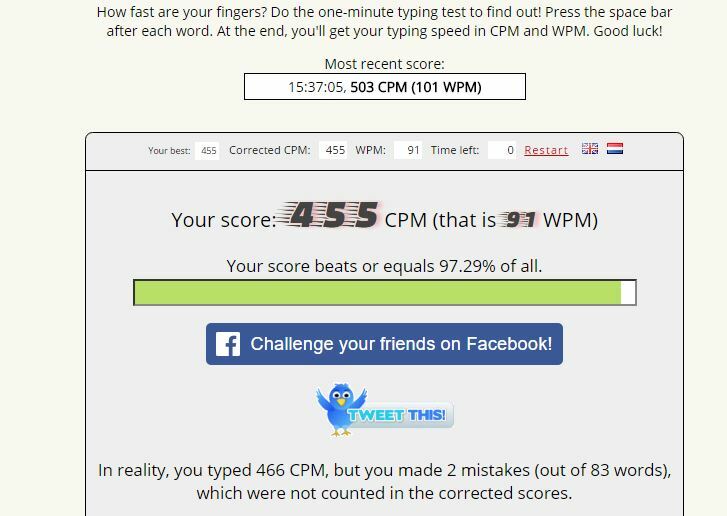 The only reason why there's a difference between 455 and 466 is because I misspelled some words..
how does one write 83 words with 2 mistakes, and ends up getting the result that he types 91 WPM, makes no sense. 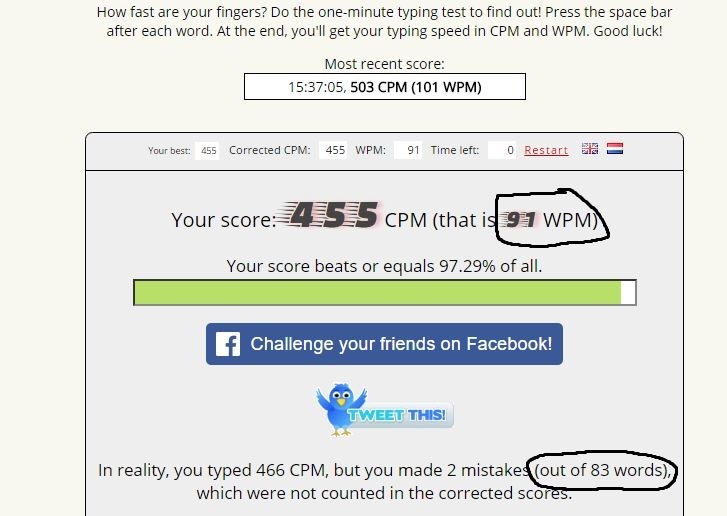 if you typed 466 CPM with 83 words and 2 erros, how can the result be 455 CPM with a higher (91) WPM ?